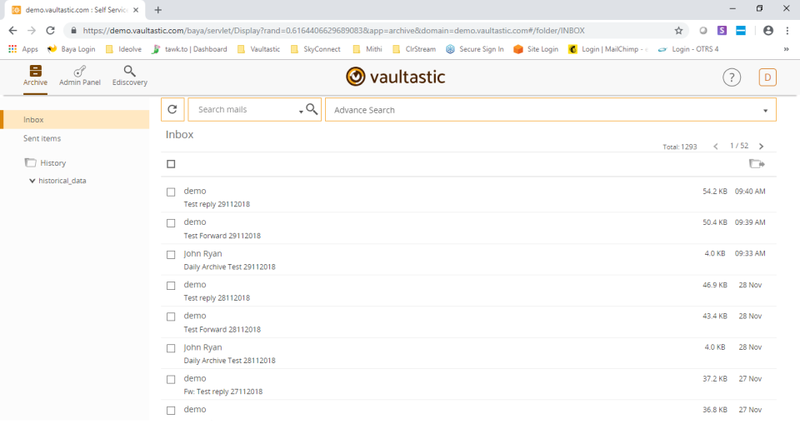 Vaultastic is the easiest - most secure email archiving solution yet! It is works with Office 365, Google Apps for Work (Now G Suite), Exchange (on-prem & cloud) and other email solutions. 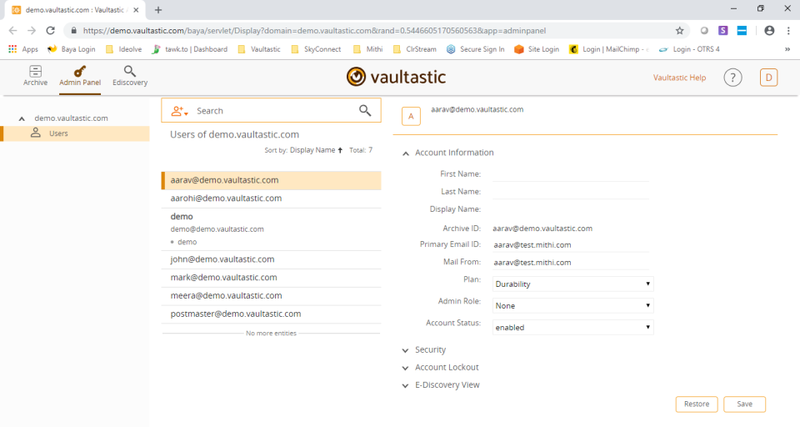 Vaultastic helps your business with all eDiscovery, Compliance and Business Continuity needs. All your email data is securely stored in AWS data centres ensuring 99.99999999999% data durability and protection against service outage, data loss or corruption. Overall: We were looking a lot of inbuilt feature in messaging services. In fact We took demo of various mail Service Providers Like - MS exchange /Zoho/Zebra etc but lack of some specific features & requirement . in last We found Mithi through search engine & share our list of requirement. Accordingly We have taken demo of all listed features Like - BCC Policy/COS/Group Policy/Archival/IP blocking/blocking File extension/Spam Management etc. As per our requirement & expectation They have deployed successfully. 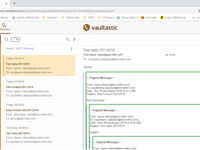 Later They have migrate archival to Vaultastic Which is having advance & great feature such as exporting all mails to required format speedily Like- pst & keeping a safe copy of your mails. We don't have to worry about storage growth since that is automatic and unlimited. Pros: Easy to use with a self-service portal for our users. On demand export of selective or all mail from any archive account, helps in mailbox/email recovery or responding quickly and accurately to compliance requests. True SaaS with No infrastructure, No manpower, No maintenance required from us. Overall: Banks (BFSI), by reulation, are required to maintain email archives for compliance. Mahanagar Bank deploys an in-premise mail server and earlier we would backup our mail onto local devices and these kept growing rapidly since our email volume is very high. Since we shifted to Vaultastic to keep a copy of our email safe in the cloud, we don't to worry about storage. In addition we can easily find mail using self service portal. Pros: Nothing, because when someone using the product with having issue since long time and no one is able to resolve the issue you will start hating the product. Cons: Sent mail doesn't comes properly in Vaultastic mailbox, and i am having this issue since last 2 months, but their support team is unable to resolve it. Overall: Well, i bought this product to keep our email backup on Vaultastic server, but we are facing some since long time which their support/developer team unable to resolve yet. Emails of our sent item is not being updated properly since past 6 months, means we have wasted our money in cureless product and now no one is responding to us on this issue. I would not suggest this problematic email backup solution to anyone ever. We analysed your tickets & found that you had 1st raised the issue regarding a few mail not seen in the "sent Items" on 10 Aug'18. We saw a few mail with a blank sender were not getting archived into the sent items. To mitigate this we switched off the duplicate mail control on 13 Aug'18 on our platform until we could find a permanent resolution to this data case. After switching off this control, all mail are getting properly archived into the sent items, albeit with a side effect of having duplicates for the few blank sender mails. You did raise a concern about this as mentioned in your review & we apologize again for the communication lapse from our end. We are working on improving the duplicate mail check filter to resolve the case of the blank sender. A solution is being tested, with expected release in few weeks. Thank you for choosing Vaultastic. We'll sincerely attempt to regain your trust by working closely with you on this issue. The experience with this software has been great.It has all the key features that I was looking for. Pros: The software has great value for money. The customer support is very responsive and proactive in handling issues. Cons: An email sent to multiple users appears multiple times. There must be a technical reason for this but it would greatly help to sort it out. Overall: I'm using this to archive emails of my top management for ease of maintenance and retrieval. Easy to provision users and manage their rights. Overall: We were previously using an on-premise email archiving solution. But with the high maintenance and running costs involved, we started looking for cloud email archiving options. 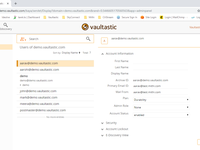 After opting for a 30 day free trial of Vaultastic, we found the whole system to be very easy to use and hassle free. So we decided to go with Vaultastic. 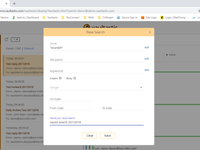 With the convenience provided wherein every user is provided with separate login to access their individual account, it will save us a lot time searching through archived emails without bothering the IT team. Recommendations to other buyers: Does a great job at what it says. I would recommend Vaultastic based on the reasonable cost and ease of use. Pros: easy to use software like data access, user configuration and monitoring. Data Sync before delivery...great!!! Pros: The product is very good as the user interface is very intuitive. 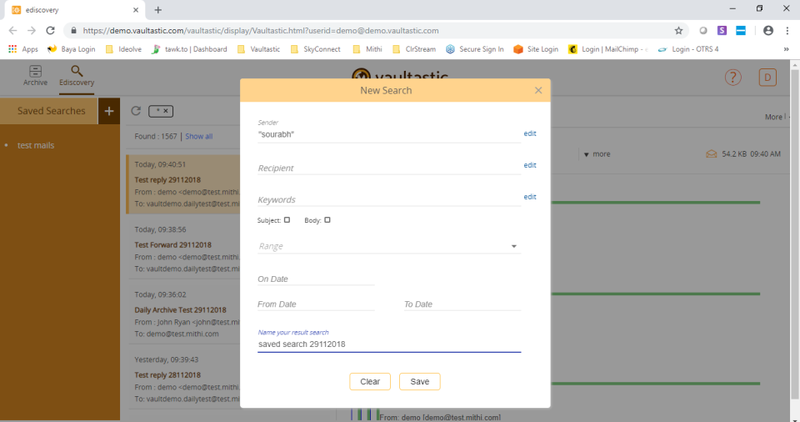 It's easy to look for emails inside the archive and I am very happy with the functionality which the application provides even a layman can understand and use it without any problem. Overall: Sense of security that I get at the top my emails are synced seamlessly with the archival system and I know that a copy of email is safe somewhere even if there is a disaster happening on my system I'll still able to get access to my emails in the easiest way possible. I am also looking forward for the security of the other people in my organisation this solution ensure that no key person in the organisation is left aloof in terms of email backup solution. Overall: Amongst the many use cases of archival in Solar, one major use is that we create shared mailboxes by department, which are accessed by multiple users from multiple devices. A Track all communication by the various users in one place, is enabled via the common archive account. We don't worry anymore about accidental or intentional mail deletion/loss on the clients. We don't worry about maintaining local infrastructure, their backups and ensuring their reliability. Vaultastic has provided our IT team the space to work on core projects. 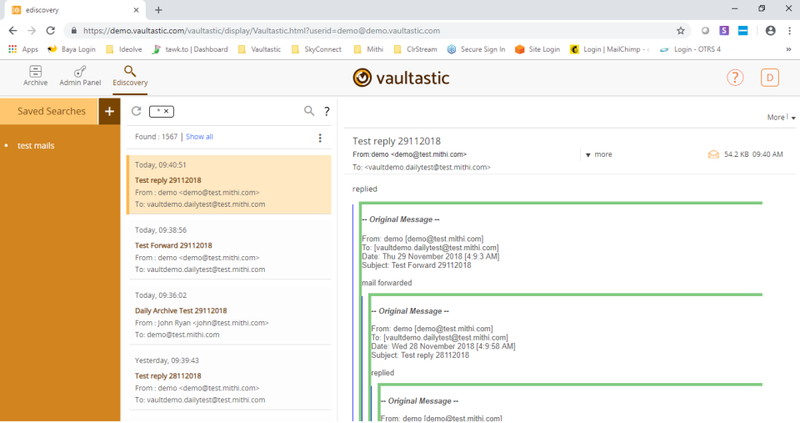 Comments: We have been using Vaultastic for more than a quarter now and it has helped us address the issues around lost emails (Intentional/Unintentional) This is the right solution for companies of all sizes especially since it is not too harsh on the pocket and is very easy to implement/use. Kudos to the team for coming up with this service. Pros: Ediscovery made it easy to search across all accounts and locate specific information from archived data. Overall: We previously had an on-premise storage system which was just not providing sufficient backup, with emails over a period of 3 years taking up 10TB worth of space. We had to store all our email communication as projects run over a long period of time. The on-premise storage provided no solution to search for specific information on an individual level. This meant that every employee needed to get in touch with the IT department every time they wanted certain emails causing a delay in retrieving data and adding to downtime. Switching over to Vaultastic freed our mind space from non value adding activities. Within 3 months, the solution has proven results, by giving more control to all the employees, bringing in better collaboration and increasing the response time to our customers.